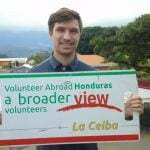 Volunteer Honduras: I really really enjoyed my ABV experience in La Ceiba. The clinics were well run and busy, the people were beyond helpful and friendly and the host family was perfect. We were always made to feel very welcome and safe and always made to feel as if we were helping while learning. I would recommend La Ceiba to everyone. At the accommodation: the diet, which was mainly carbs and lacked vegetables – I told my coordinator this though and I was quickly provided with vegetables everyday! Clothing Dress lightly!! No need for jumpers, only bring loose clothes and sandals and running shoes for the clinic. a.- Honduras is a very safe and welcoming place. 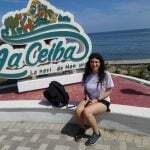 I was initially very scared to come to La Ceiba but if you are careful you will be fine. b.- You will learn a lot from the dentists at the clinics- they move at a very fast pace but are always so helpful and will always help you if you get stuck. Infection prevention and contamination is not anywhere near as thorough as the West, you just have to get used to it! d.- prepare for the heat and bring cash to exchange! 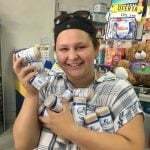 I really really enjoyed my ABV experience in La Ceiba. The clinics were well run and busy, the people were beyond helpful and friendly and the host family was perfect. We were always made to feel very welcome and safe and always made to feel as if we were helping while learning. I would recommend La Ceiba to everyone. My accommodation was great and comfortable. I had my own room for the second week. The diet took some getting used to, definitely- it is not one rich in vegetables or nutrients but I expected that. Security was perfect, at the accommodation and at the clinic always. Program: how busy we were and getting to know all the dentists and patients, who were so so nice and friendly and even bought us presents. 8 – Are you willing to speak to other potential ABV volunteers? 9 – Can you tell us how did you find or know about A Broader View?